Mgr Joseph Tobji notes that UNESCO heritage sites are safe; only "some houses" have been bombed. The Free Syrian Army accuses the regime of "endless lies", says no bombing has taken place in Brad. Beirut (AsiaNews/Agencies) – In a press release, the Maronite diocese of Aleppo notes that the "The tomb of Saint Maron has not been destroyed". This follows reports yesterday that Turkish planes had destroyed a Christian UN heritage site that included the burial place of the holy hermit. "Declarations [about the destruction] were based on false information,” reads the press release signed by Bishop Joseph Tobji. “We have been fully reassured by the Syrian army who sent a team of inquiry and found that only a few houses were bombed." 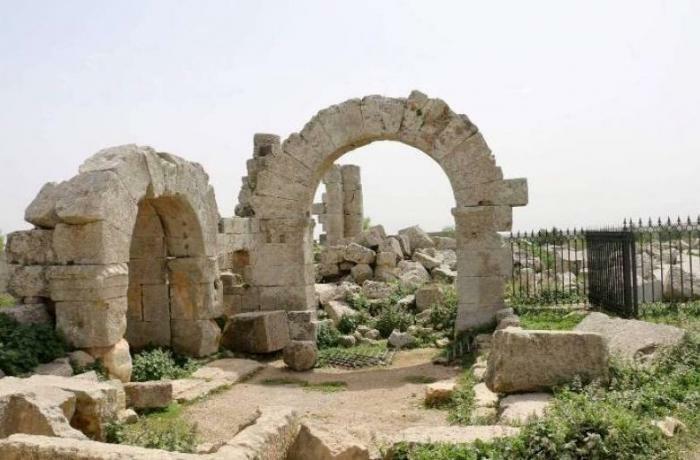 According to a message from the Syrian Department of Antiquities and its director, Mahmoud Hamoud, Turkish planes – in support of the Free Syrian Army fighting Kurds in the Afrin area – had struck the Brad area, which includes several Byzantine churches and monasteries, as well as tombs dating back to the Roman period. According to Ahmad Kanjo, head of the First Free Syrian Army regiment, this is one of the "endless lies of the regime", which claims to defend UNESCO sites and Christian communities against Islamist rebels. Kanjo noted that no Turkish bombing took place in Brad. As proof, he produced some photos of the archaeological site taken yesterday (pictured) sent to L’Orient-Le jour, a Lebanese French-language daily. Since the beginning of Syria’s civil war in 2011, UNESCO has often deplored "the huge damage" to the country’s archaeological and cultural treasures, like the destruction of some temples by the Islamic State (Daesh) in Palmyra.